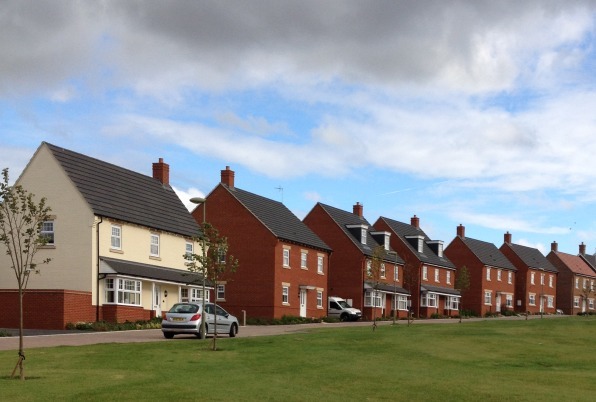 Great Western Park is a brand new community which is delivering high-quality homes, community facilities, infrastructure improvements and public open spaces to support the sustainable growth of Didcot. Our Strategic Land and Planning team carried out the initial land assembly (bringing together different pieces of land) and bought the site. 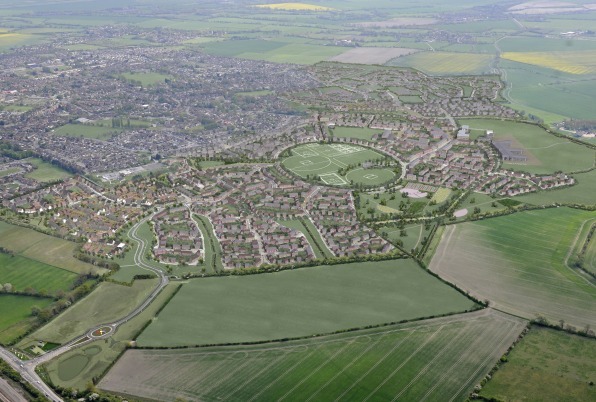 They then worked closely with our Oxfordshire regional office to secure outline planning consent. This included the negotiation of a complicated Section 106 planning agreement. The masterplan is divided into three character areas separated by ‘green wedges’ which contain natural features, such as mature hedgerows. The ‘northern neighbourhood’ is the gateway to the site, the central ‘district neighbourhood’ holds the majority of the development’s commercial and community facilities, while the ‘southern neighbourhood’ has more green spaces. We are investing £60 million in transport, schools and other community facilities, both within the development itself and in the surrounding area, and there is infrastructure in place to support 800 new homes with capacity to support more in future. A new signalised junction is in place providing access into the development from the north and connecting to a network of infrastructure roads, sewers and services. This includes three main access routes through the northern and district neighbourhoods that connect to Wantage Road via a new signalised junction. A new school specialising in science and engineering, UTC Oxfordshire, opened to students in September 2015. Improvement work to footpaths and cycleways outside the development boundary is also taking place to help integrate the development with the surrounding areas. The site includes 62 hectares of both ‘natural’ and formally landscaped open space. A central oval, named Boundary Park, which provides a pavilion and various outdoor sports areas, including full-size cricket, rugby and football pitches opened to the public in September 2016. We have also invested in youth sport by providing four junior football pitches, three mini pitches and two multi use games areas. Additional facilities are currently under construction as an extension to this, including four tennis courts, a skate park and a multi-use games area. These are currently due for completion in summer 2017. We are providing many community and commercial facilities, such as a healthcare centre, retail units, a supermarket, and a public house. In addition, approximately 14 hectares of land has been provided to Oxfordshire County Council for new schools. In addition to this we have provided funding for the construction of two primary schools (£11.8 million contribution) and one secondary school (£16.9 million contribution). The ‘northern neighbourhood’ is now complete with a convenience store and post box in the 'northern district centre'. The first permanent community centre has now been built at the development and opened its doors to the public in June 2015. 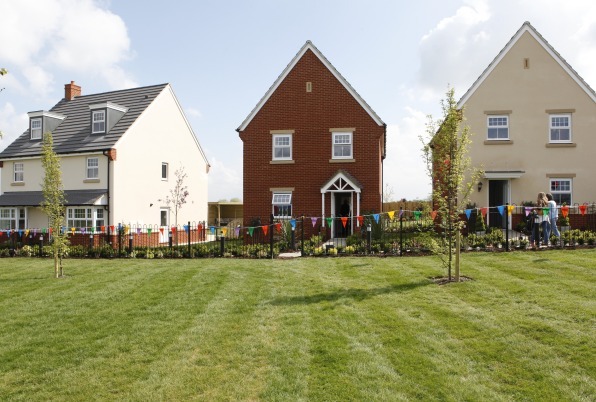 Private homes at Great Western Park are built to EcoHomes ‘Very Good’ standard, while affordable homes will achieve Code for Sustainable Homes level 3. As part of the planning obligations we must provide renewable energy systems to one third of the homes. We are fulfilling this requirement by installing shower waste heat recovery systems. Following preliminary archaeological evaluations, in 2010 we commissioned Oxford Archaeology to complete a full archaeological assessment. We are also working with the Didcot and District Archaeological and Historical Society to ensure any historic findings are recorded and preserved. The full extents of Great Western Park have now been investigated and a long history of human settlement has been uncovered. The earliest finds are from the Mesolithic period (around 8,000BC) with hundreds of worked and burnt flints representing a rare hunter-gatherer campsite. Later finds include a complete Neolithic pot (an example of the earliest ceramics, dated to around 3,600BC) and Bronze Age cremation burials (dated to about 1,400BC). Evidence suggests a village of between 40 and 50 roundhouses was established here in the early-middle Iron Age (600- 100BC). A small late Roman villa with a hypocaust (under-floor heating), stone walls and painted plaster, and a ceramic and limestone tile roof has been partially uncovered and is being preserved within Boundary Park. The presence of an early Saxon sunken-floored building confirms that this was a settlement within the 5th century AD. During the initial planning process we carried out a programme of community engagement, including events such as exhibitions and workshops, to enable local people to see plans and voice their support and concerns. We continue to engage with a range of local stakeholders with a particular focus on the more strategic planning documents, such as the framework plans for the ‘neighbourhood’ character areas and where public facilities are planned. The pavilion building was the subject of separate community engagement and specific consultation with local sports clubs. We continue to meet with representatives of Didcot Town Council and Harwell Parish Council to update them on progress and to inform them of the latest planning applications. We have also asked local school children and youth groups what playground facilities they would like. Some of the suggestions we received were incorporated into the design and equipment within the first playground to be built, which opened in the summer of 2012. A further two playgrounds have been constructed at Great Western Park and these opened to the public during the summer of 2016. We have also consulted with the local community on the provision of a new skate park. The development is being built in partnership with four other private housing developers and a commercial developer. 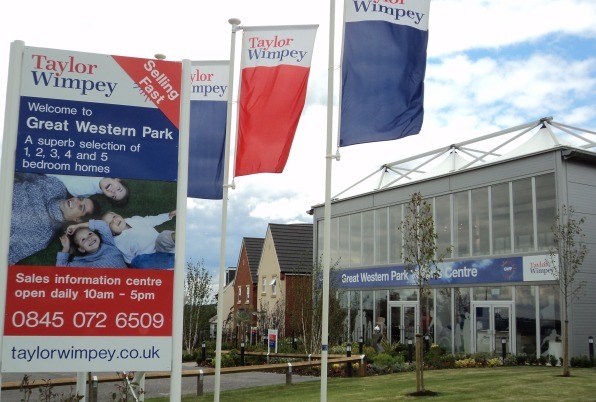 We are the consortium leader and control over 90% of the land, with two Taylor Wimpey Sales Information Centres open at the development. At an early stage we put in place a single brand for Great Western Park to ensure we all use the same sales and marketing approach with co-ordinating signage, brochures and other marketing materials. Regular meetings are held to ensure that we continue to work together effectively. We have also worked with the Homes and Communities Agency (HCA) to secure Direct Grant funding for the affordable homes on phase 1. By May 2016, over 1,300 homes had been built and occupied.